Director Tim Miller's Terminator 6 was originally supposed to begin production next month, but a new report suggests that the new shooting start date will be in May or June instead. Additionally, new casting details for the movie's protagonist have been revealed. 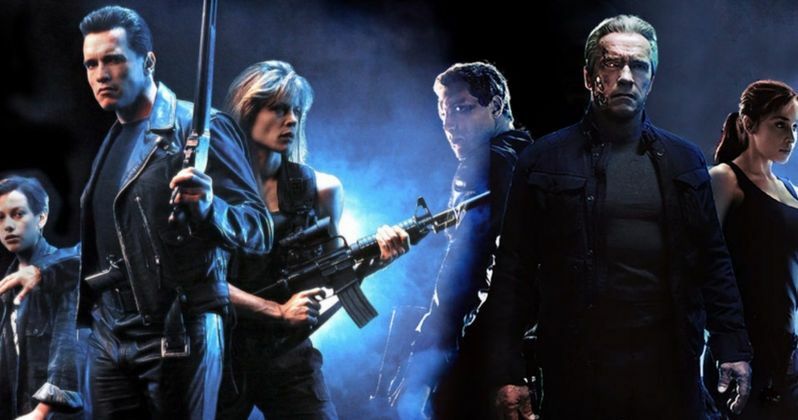 Arnold Schwarzenegger and Linda Hamilton are both officially set to return for the new movie, which will forget the events of Genisys, much to the joy of Terminator fans everywhere. The idea of Tim Miller and James Cameron collaborating on the project is also a huge plus. The production delay on Terminator 6 seems to stem from casting. The new production start date is for some time in May and will last until November. The long filming time seems to be an excellent idea and has led to confidence in the project. It's surprising that Paramount would allow that much time for filming, but this could include stunt preparation as well as location scouting. The movie is expected to film in Mexico, Budapest, Spain, and the U.K. The movie still has an official release date of January 26th, 2019. The new report also reveals some information about the Dani Ramos character, who is the protagonist in Terminator 6. The character is described as always being able to find a bright spot in any situation. Dani also has close ties to her family and is said to be more "street-smart than book smart. "The casting notice reads. "Dani Ramos is a young woman in her early 20s from Mexico City. She was brought up in a working-class neighborhood, is independent and believes strongly in family. She's more street-smart than book smart and is a woman who always manages to find a ray of light even in the darkest of circumstances." The Dani Ramos casting news echoes what we have seen in previous reports that point to part of the movie taking place in Mexico City. It has been speculated that the Mexico City setting will also premiere a new villain as well, but that has not been confirmed at this time. Terminator 6 will continue in its tradition of having a female protagonist, but this will be the first time that it has been a woman of color. Terminator 6 has been generating hype for the handful of months and it has ramped up considerably since it was announced that Tim Miller (Deadpool) and James Cameron were collaborating on the project. Throw that news along with the return of Arnold Schwarzenegger and Linda Hamilton and that hype turns into expectations. It seems like they're really trying to get the Terminator franchise done right with a lot of extra time and effort, as opposed to rushing to get something out with the Terminator name on it. You can read more about the production delay and casting details of Terminator 6 over at Terminator Fans.